This time the Paganini Caprices is unlocked and you can avail it in the bundle pack which is going to cost you very low. 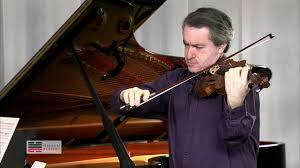 For just any violinist in this world such a bundle offer of Paganini Caprices can come in very handy on the use. If you really want to enhance your violin playing techniques, skills and strategies, then this series of Paganini Caprices can always make that big difference for you. So, the time has come to sharpen your skills and performance while playing violin and for this all you need to buy this exclusive master class series of Paganini Caprices.